With the warm weather months almost upon us, many people will be relaxing in and around swimming pools to escape the summer heat. While the most of us will have a safe and fun time, statistics tell us that there will inevitably be an accident or two. According to the CDC, around ten people per day die from unintentional drowning. Out of these ten people, two are children aged 14 years or younger. 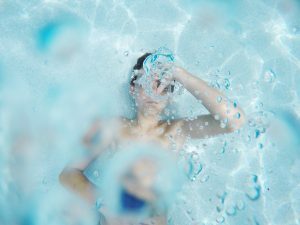 Despite the warning signs and a healthy dose of common sense, people still get injured and sometimes even die in swimming pool accidents in Washington State. Why is this? Aside from slips and falls, the most lethal danger that swimming pools pose is drowning. Believe it or not most drownings occur in front a people who don’t know the person is actually drowning. Lifeguards and other rescue professionals have reported that when someone is drowning, they usually don’t make the “Help, I’m drowning!” motions and audible cues. When faced with a drowning situation, the human body is too preoccupied with attempting to stay afloat and receive the air it needs to breathe. As such, a drowning person may look like they are calmly treading water. If you or someone you know is involved in a swimming pool accident, the first thing you want to do is call “911” or otherwise alert an emergency professional. Staying calm and not letting your emotions get the better of you is highly recommended. This calm mindset will allow you to think clearly, rationally as well as make intelligent decisions. After emergency help is on the way (or has already arrived) you should then turn your thoughts to the scene of the accident. The scene of a pool accident may be chaotic and emotional. Try your best to use your cell phone to take pictures of the general area where the accident occurred. Are there any obvious signs of structural damage to the swimming pool area? If so, take a picture. Be sure to take photos from multiple angles, if possible. If you can, try to document conversations that you overhear. Witnesses, police, emergency first responders as well as the doctors in the hospital can help piece together the events at a later date. You should also try to preserve any evidence that could be relevant to an investigation. If you took pictures on your cell phone, try to make a backup copy of them on your home computer on the off chance something happens to your phone. The same goes for any documents, reports or paperwork that may have been given to you. Grab any police reports as well as hospital records from the emergency room. In short, gather as much evidence as possible. Even if you think something is not relevant, document it regardless. It may prove to be a very valuable piece of evidence at a later date. If an insurance company representative contacts you at the hospital or at your home, politely refuse to answer any questions. Let them know that you need to speak to your attorney first. Any statements you give to the insurance company representative (even “off the cuff” remarks) can be used against you or a loved one in a claim. At Evergreen Personal Injury Counsel, we have exclusively limited our practice to personal injury claims and helping families with serious and traumatic injuries or fatalities. My team and I have both the experience and the expertise to help you navigate through a complex swimming pool injury case. We help many people and families who have been injured or have died in swimming pool accidents throughout the State of Washington. Give us a call today for a free consultation to see how we can help you. This article was originally published on John Christensen’s website.